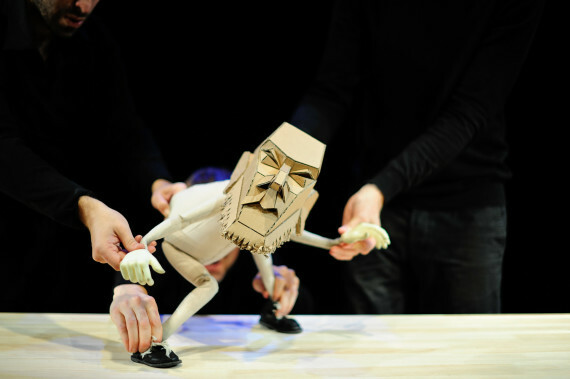 Blind Summit is a London based, internationally touring, producer of puppet based theatre under the vision of Artistic Director Mark Down, who is one of the world's leading puppeteers. Our mission is to produce new groundbreaking puppetry, nurture the puppeteers and makers of tomorrow, and develop new audiences for puppetry. Over 20 years we have made 10 original productions, including 'The Table', 'Low Life' and '1984', and have made puppetry in 36 collaborations, including 'A Dog's Heart' (ENO, DNO & Complicite), Anthony Minghella's 'Madame Butterfly' (ENO, MET Opera), 'Le Rossignol' (Bregenz Festival) and the London Olympic Opening Ceremony. We receive funding from Arts Council England as a National Portfolio Organisation.